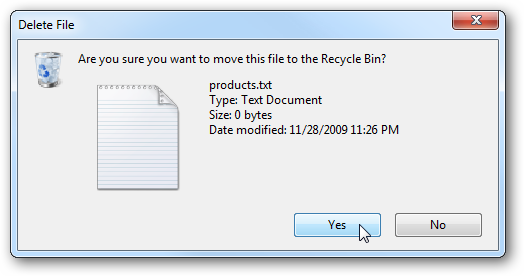 The confirmation dialog box that pops up when you want to delete a file or folder is meant to prevent accidental deletion of data. It can be a great thing in some situations, and very annoying in others. Let’s take a look at managing the messages and how to prevent users from turning it off. If you’re a system administrator or a power user, having Windows pop up a confirmation screen every time you want to delete a file becomes annoying. 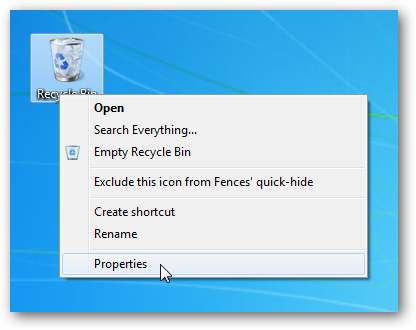 To turn the messages off, simply right-click the Recycle Bin and select Properties. 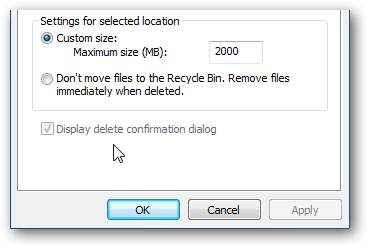 In the Recycle Bin Properties screen uncheck the box next to Display delete confirmation dialog the click Apply and Ok. 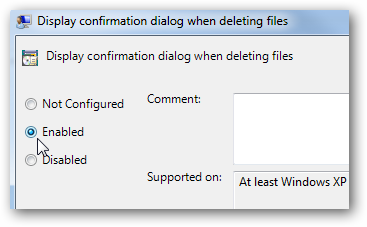 Unless you know what you’re doing, it isn’t recommended to turn off the delete confirmation dialog box, as it can prevent accidental deletions. For beginner and novice users, taking the extra step of answering the confirmation message is quite important. 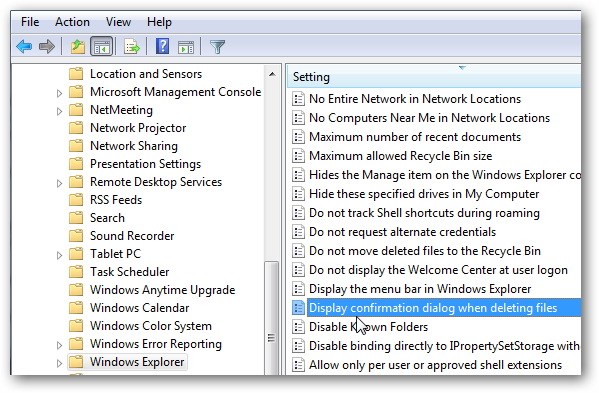 We can change a setting in Local Group Policy Editor to make sure this safeguard is always on and can’t be turned off. Click on Start and type in gpedit.msc into the search box. 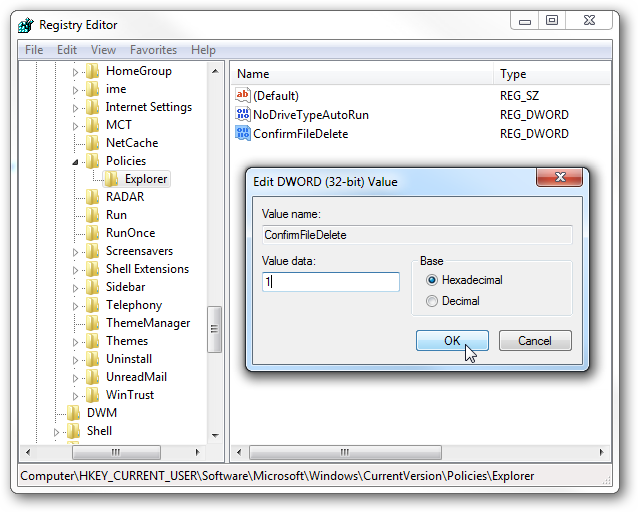 Navigate to User Configuration \ Administrative Templates \ Windows Components \ Windows Explorer then double click on Display confirmation dialog when deleting files. You will want to Enable it to make sure it is always on and users can’t turn it off. 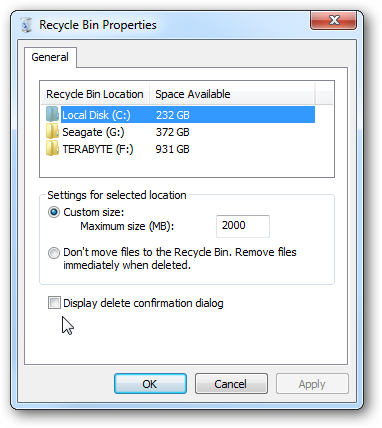 After you close out of Local Group Policy Editor, go back to the Recycle Bin properties and you’ll see the dialog is enabled and grayed out so users cannot change it. You can also achieve the same setting through the Registry. Click Start and type regedit into the search box and hit Enter. 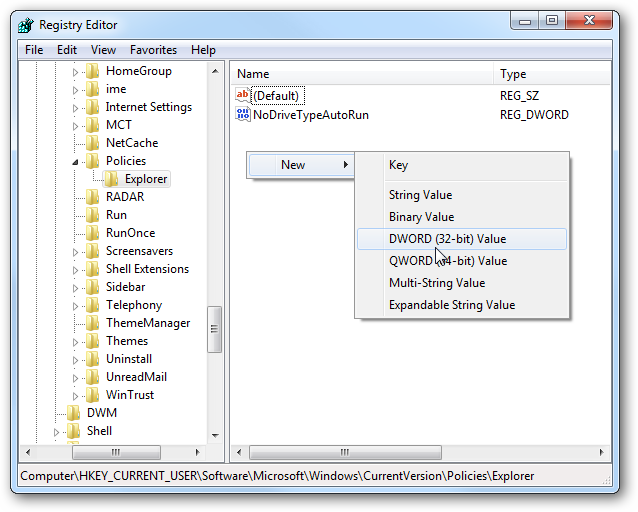 In Registry Editor navigate to HKEY_CURRENT_USER \ Software \ Microsoft \ Windows \ CurrentVersion \ Policies \ Explorer then right-click and create a new DWORD value. Name it ConfirmFileDelete and give it a value of “1”. You’ll need to log off and back on again for the setting to go into effect. Again, these steps are not meant for beginners and unless you know what you’re doing there is no reason for you to try this. However, if you’re an experienced user and annoyed by the Delete confirmation box but want to make sure it stays enabled for others, these steps will help you out.